When you think of a cannabis plant, a healthy addition to your salad may not be what comes to mind. While the plant is best known for its psychoactive effects, it can also be harvested to produce healthy snacks. Despite hemp food containing less than 0.001% THC, it can’t seem to shake its association with marijuana. “We like to think of marijuana and hemp as distant cousins,” says Sarah Hays, senior manager of marketing communications, at hemp food manufacturer Manitoba Harvest. She says hemp foods are more like the wild salmon of plant protein world. In the 1990’s, Manitoba Harvest lead the way for legalizing hemp food production in Canada. One of the company’s co-founders helped form the Manitoba Hemp Alliance which helped secure a government grant to source hemp seeds and begin hemp trails. 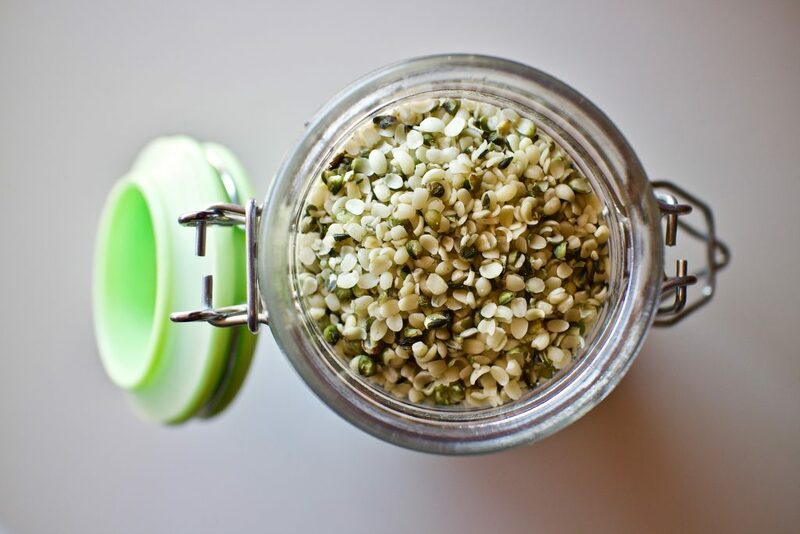 Now as the industry grows, hemp seeds, oils, and protein powders can all be found on grocery store shelves. The most popular hemp food Manitoba Harvest manufactures are hemp hearts, shelled hemp seeds that can be eaten as a quick snack or added into foods like salad, guacamole or cookies. Hemp food is rich in protein and has all ten amino acids. According to Manitoba Harvest, hemp food also contains gamma linolenic acid which has been shown to help cholesterol, inflammation, skin and hair health, and keeps your heart healthy.